OnePlus 6 official launch is expected in a few days, and everyday something new about the device emerges on the internet. Now, OnePlus 6 has been revealed with a new back panel that will enable wireless charging support. Also, the company has confirmed that the OnePlus 6 will feature “new materials” and it is speculated that it will come with a ceramic back panel. OnePlus India posted about the new back panel on the OnePlus 6 on its Twitter handle. “Same expert craftsmanship, new materials #OnePlus6,” the tweet reads. 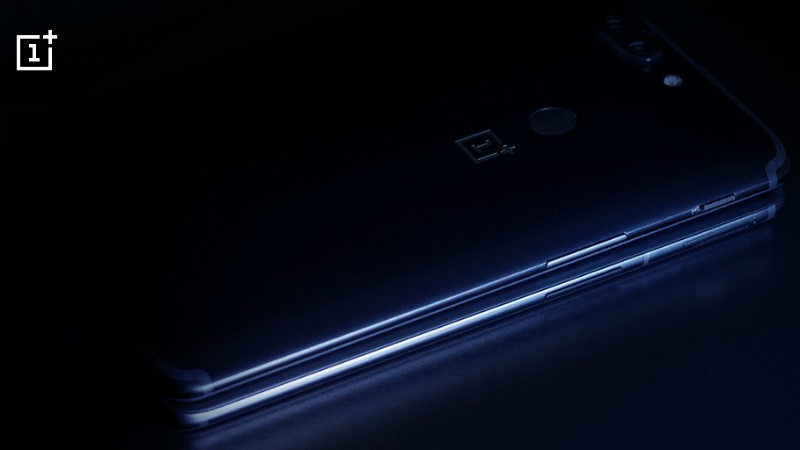 The tweet is posted alongside an image that shows a glossy black surface with an engraved line which says “Designed by OnePlus”. So, the black surface could be a ceramic back panel and it will make OnePlus 6 a strong competitor against the likes of Xiaomi Mi Mix 2S that also sport a ceramic back. If we talk about previous OnePlus flagships, OnePlus 5 and OnePlus 5T both had an aluminum back. The OnePlus 6 will certainly need to come with a new panel as it will also offer wireless charging – as surfaced in a concept video. Companies such as Essential and Xiaomi have already used ceramic back on their phones to support wireless charging. However, if OnePlus 6 doesn’t come with the ceramic back, it could feature a glass back and some rumors have already given hints on this. The glass back on the OnePlus 6 will also enable wireless charging and the glass back will make it a contender to the likes of iPhone X and Samsung Galaxy S9 that come with glass back panels. We will have to wait for the official launch to know which new material the OnePlus 6 will sport on the back. The OnePlus 6 will be an Amazon Exclusive phone in India. If we talk about features, the phone is expected to come with a water-resistant body, and a Qualcomm Snapdragon 845 processor coupled with up to 8GB of RAM and up to 256GB inbuilt storage.